Learn how to make a burlap wreath with ribbon. This free eBook is the ultimate guide with easy step-by-step instructions and craft ideas. Have you always wanted to know how to make a burlap wreath with ribbon? This free eBook is the ultimate guide with easy step-by-step instructions. We’ve got it loaded with easy craft ideas and ways you can personalize a burlap wreath for your home. The eBook is a free gift exclusively for Kenarry Idea Insiders! At Kenarry, we love to share great ideas for the home with you. You come here to find ideas for crafts, home decor, kids activities, recipes and so much more. Did you know you can get all those Ideas in Your Inbox? When you become an Idea Insider, we’ll send you our free weekly Ideas In Your Inbox newsletter so you don’t miss a thing — and we’ll send you a FREE gift too! 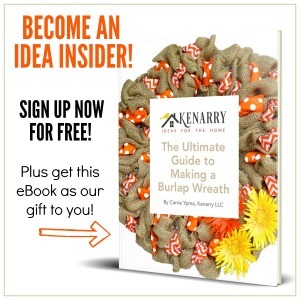 To thank you for signing up to be one of our Idea Insiders, we’ve created an exclusive ebook to help you learn how to make a burlap wreath. 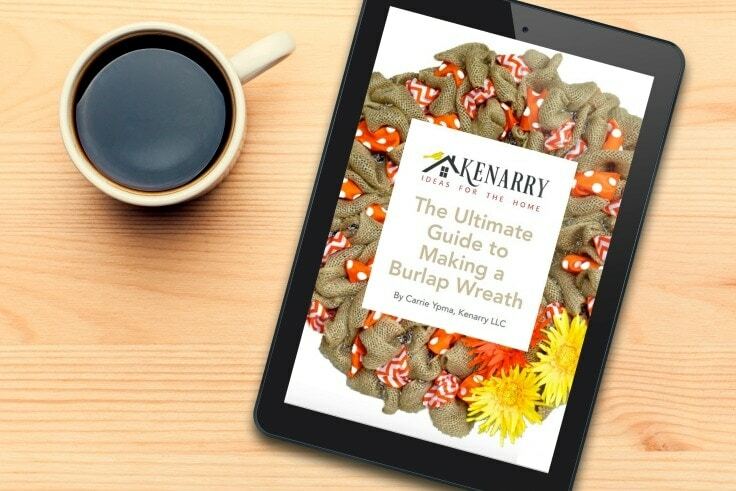 The Ultimate Guide to Making a Burlap Wreath is a free digital ebook that will give you easy step-by-step instructions. Large detailed photos showing every single step you’ll use to make a gorgeous burlap wreath for your home. A gallery of inspiring craft ideas to make burlap wreaths for seasonal holidays or every day decor. 1 page printable instruction sheet, as a quick reminder for yourself or print it for a craft night with friends. 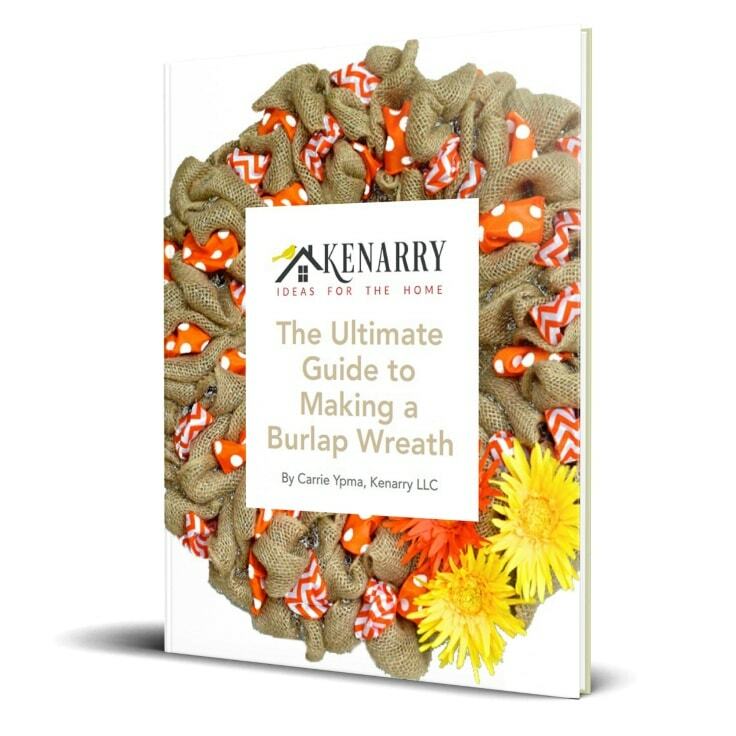 PLUS an exclusive coupon code giving you 25% off your first purchase of Kenarry burlap ribbon on Amazon so you can get going on your first wreath! The Ultimate Guide to Making a Burlap Wreath is a 30-page digital download designed to print on 8 1/2 x 11″ paper from your home printer. Once we receive your e-mail address, you’ll have immediate access to this exclusive e-book. It comes as a PDF file, so you can download it to your computer to print FOR YOUR PERSONAL USE ONLY. Or you can view it on your iPad, smart phone or favorite electronic device for e-reading. And that’s NOT all…. As our way of saying THANK YOU for becoming a loyal Kenarry Idea Insider and subscriber, you’ll also get access to our library of exclusive offers and free printables like this beautiful HOME Subway Art Printable that comes in six different colors. Sign Up to Be an Idea Insider — Get Your Free eBook! Ready to get your FREE eBook (and your free subscription to our Ideas in Your Inbox newsletter too!)? Immediate access to the Kenarry Resource Library stocked with free printables, eBooks, resources and other content that is only available to Idea Insiders. You’ll be among the first to know about any special deals and other offers on Kenarry products — including exclusive discounts that are only for Idea Insiders. Great! I hope you enjoy it, Susanne! They’re so fun to make. I think this would be a perfect craft for your girl’s weekend in September too! 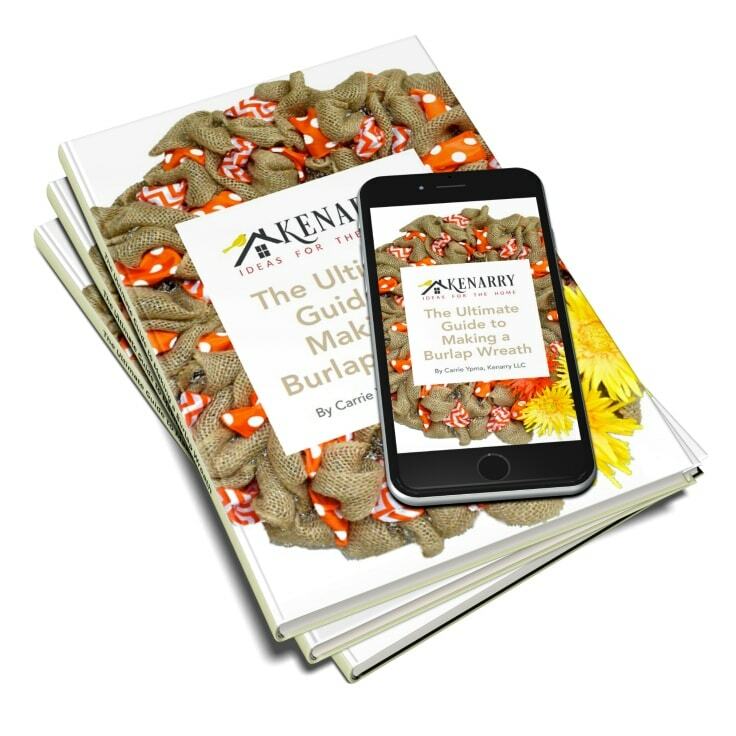 Let me know if you have any questions about the process — and be sure to check out the last page of the book for an exclusive 25% off discount code for Kenarry burlap on Amazon. It can only be used once, but you can put it towards as many 6 packs of burlap as you want in one order, so you’ll be all set for your big weekend. I would love to see photos from your weekend and how your wreaths turn out! I’ve been thinking about looking for plaid flannel ribbon to make a new fall burlap wreath myself.